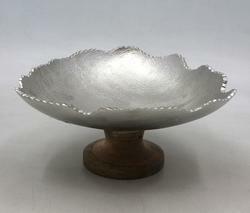 Our immense domain expertise and market knowledge assist us to offer the finest quality array of Aluminium Cake Stand. - Perfect to showcase your desserts at any wedding, event, or party. We are offering a superior quality Designer Marble Cake Stand to our most valued clients. These Designer Marble Cake Stand are made by using superior quality raw material which ensure its quality and durability. These Designer Marble Cake Stand are available in various types and we offer at wholesale rates. 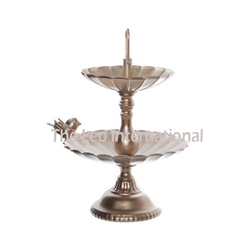 We are a leading manufacturer & supplier of Cake Stand in aluminum & Iron. The same design is in Aluminium with Handle hammered work in Nickel Plated finish.